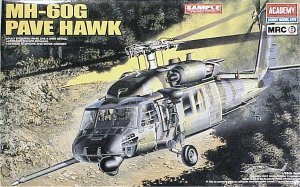 For a brief summary of the basic UH-60 Blackhawk and a look at the 1/35 scale UH-60L previously released by MRC, click here. The MH-60G is the USAF adaptation of the basic UH-60 Blackhawk to perform the Combat Search & Rescue (CSAR) and Special Operations missions. The aircraft is equipped with a radar, in-flight refueling boom, and a removable self-sealing fuel cell in the cargo compartment to extend the unrefueled range of the aircraft. A winch/hoist is installed on the right side of the helicopter for rescue duties and the aircraft is armed with either a pair of M2 50 caliber machine guns or a pair of miniguns. 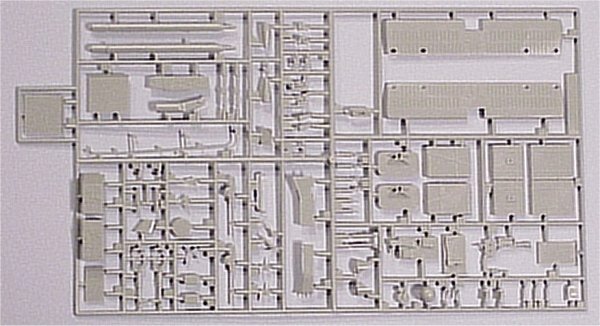 The MRC 1/35 MH-60G kit consists of four trees molded in light gray styrene as well as a single tree of crystal clear parts for the windows, etc. The molding is crisp, with finely scribed details throughout the kit. The parts are free of flash and there were only a few ejector pin marks visible in the main cabin. The cockpit features a pair of armored seats with the sliding side armor protection also present. The only thing missing from the any of the seats are the appropriate seat belts and/or restraint systems. The cockpit instrument panel has a good representation of the electronic instrument displays, analog instruments and enunciator panel. The center console and overhead console also are good representations of the actual aircraft as well. Rounding out the cockpit are two complete sets of flight controls. The only things really missing in the cockpit (aside from the seat harnesses) are some small control levers on the overhead console. The main cabin doors can be positioned open or closed, as are the gunners' windows. 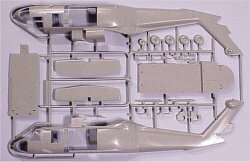 While not mentioned in the instructions, the pilot's and co-pilot's doors have cut lines molded on the inside, giving you the option to position either or both cockpit doors open. There are no door hinges included, so if you do open the doors, you'll have to fabricate some hinge mounts from scrap plastic. 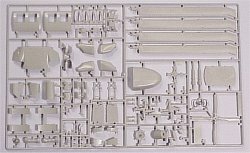 Cobra Company has released a detail set for the earlier MRC 1/35 UH-60L kit that features replacement cockpit doors that are designed to be positioned open, new pilots seats, instrument panel, center consoles and other nice detailed touches. 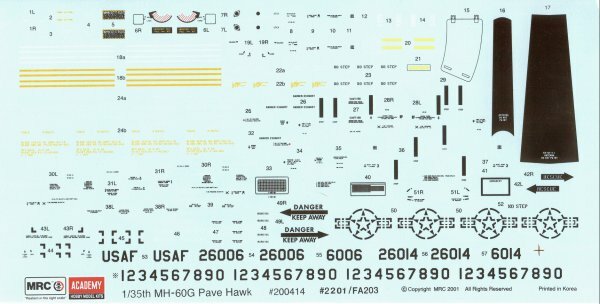 They will be releasing a similar set for this kit that features the same details as well as some airframe updates to represent the MH-60G as it is configured today. The tree in the UH-60L kit with all of the troop seats, external pylons and external fuel tanks is gone and replaced with a new tree that has the correct parts for the Pave Hawk. These include the dinstinctive horizontal stabilizer, aerial refueling boom, radome, machine gun and minigun armament, internal fuel cell, hoist, and ammunition canister. One interesting option is the port engine bay. You have the choice of building it open or closed. If you do open it up, there is a nicely done T700 engine with an APU duct and some plumbing in place. You'll probably want to 'busy' this area up a bit more with the various cables, hoses and linkages that are too fine to mold in styrene. 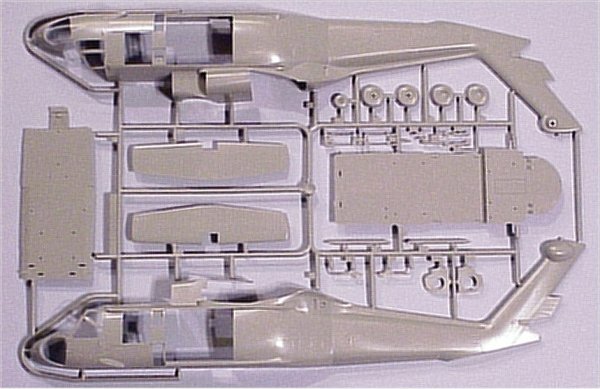 The engine bay is boxed in with bulkheads that match closely with the actual aircraft. The kit is rounded out with a variety of necessary details, such as cable cutters, antennas, an IR jammer, chaff/flare launchers, and the HIRSS exhaust shields. Markings are provided to build just about any of the MH-60Gs in the inventory. The sheet provides the serial numbers for two aircraft, but a generous supply of numbers are provided to replicate just about any serial number you'd like to use. An extensive array of maintenance stencils are provided as well as the national markings. Due to the mission of these aircraft, there are no distinctive unit or personalized markings used nor provided. Who would have thought we'd have not one, but two versions of the Blackhawk in 1/35 scale? Kudos go out to MRC and Academy for releasing these kits. 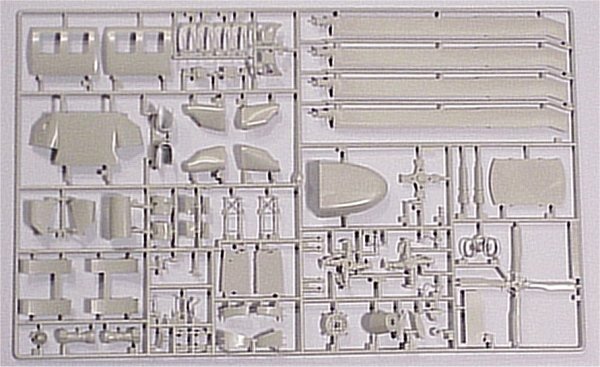 Modelers with intermediate or advanced skills will not have a problem with this kit. I recommend this kit for your 1/35 helipad. Our sincere thanks to MRC for this review sample.